Biding his time until he finally lands that sitcom about an elementary school teacher who learns as much from his kids as they do from him, in the meantime, Michael K. Williams will take on another HBO drama where he plays a gangster. 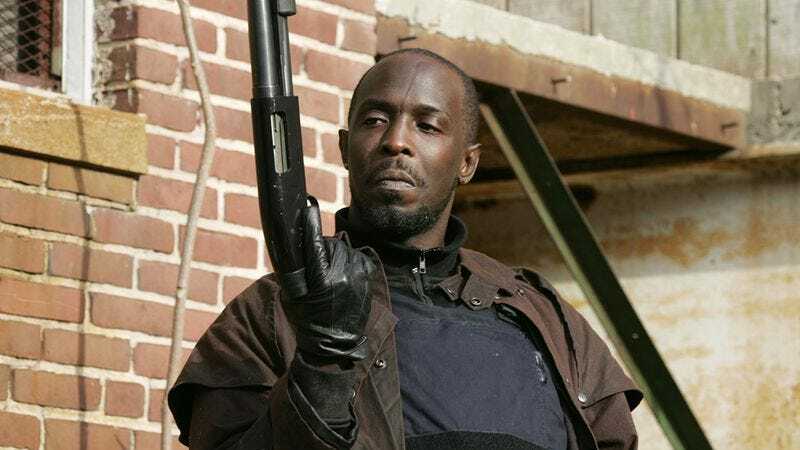 The erstwhile Omar and Chalky White has signed on to HBO’s Crime, the BBC adaptation that has replaced the title Criminal Justice, in much the same way that star John Turturro replaced Robert De Niro replaced the late James Gandolfini. Williams will take on the role of Freddy, the head of a powerful gang in New York, where most of the world’s television crime takes place. According to Deadline’s description, Freddy is serving time on Rikers Island, yet his power extends well beyond his cell. (Otherwise, he would be kind of a boring gangster.) Presumably, it’s there that Freddy comes into contact with the Pakistani man, played by Riz Ahmed, who stands accused of murdering an Upper West Side girl, and whose case Turturro will take on with the help of Glenne Headly and Amara Karan, and against prosecutor Jeannie Berlin—all of whom are also new additions, none of whom were even considered for the role of Freddy, apparently. Still, it’s always great to watch Michael K. Williams do his gangster thing, even if it further delays the production of Schooling Mr. Scarface.